Dawtona. Try it. You'll love it. 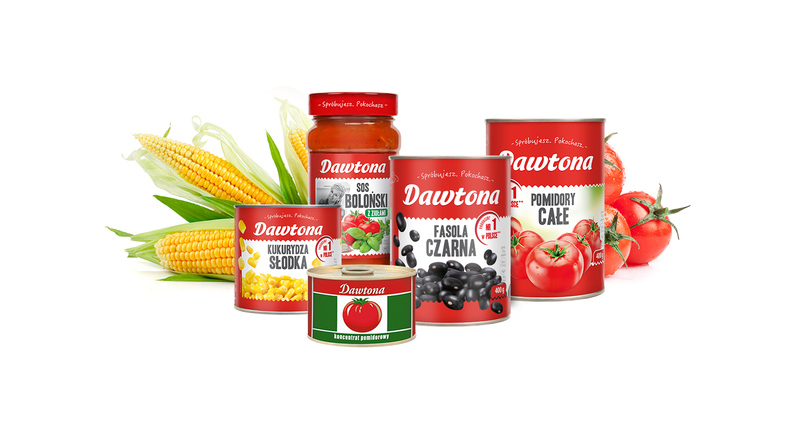 Dawtona offers a wide range of vegetable and fruit products, all of which share one characteristic – the highest quality at an affordable price. Natural ingredients, traditional recipes and modern production technologies are what distinguishes our brand from the competition. Our company offers pastes and purees made from juicy and ripe tomatoes, aromatic sauces full of herbs and natural ingredients, appetizing and robust pickled vegetables, perfectly composed salads and vegetable mixes, crisp ketchup as well as delicious juices and fruit preserves.